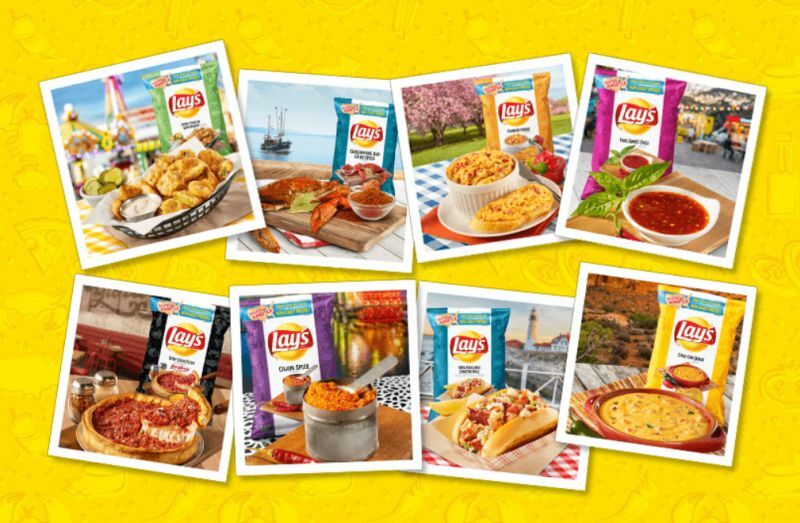 For a limited time this summer, Lay's offers eight new regionally-inspired potato chip flavors in certain areas. They've also brought back four regional flavors. - Cajun Spice (Central Gulf) - A mix of garlic, paprika, onion and oregano. - Chile Con Queso (Texoma, Mountain, SoCal) - The taste of velvety cheddar queso with a hint of spice. - Chesapeake Bay Crab Spice (Mid-Atlantic) - Custom-blended spices inspired by crab shacks along the Atlantic. - Deep Dish Pizza (Heartland & Mid-America) - The taste of Chicago-style deep-dish pizza inspired by Giordano's pizza. - Fried Pickles with Ranch (Midwest) - Inspired by the deep-fried snack found at many-a-state-fair in the Midwest. - New England Lobster Roll (Northeast) - The flavor of fresh lobster served on a buttery grilled roll. - Pimento Cheese (Southeast) - The taste of creamy sharp cheddar with a hint of cayenne pepper. - Thai Sweet Chili (Pacific Northwest) - Sweet chili sauce with a touch of heat. The regional flavors can be found at retailers in their respective market through September 23, 2018. 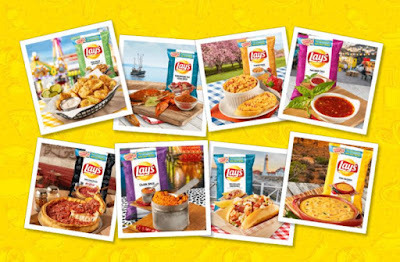 The brand is also offering a variety pack with the eight new flavors at www.Lays.com.